There is always a lot to do in preparation for the opening of the season, but even after the season is rolling along, it’s never too late to take care of an important task — net inspection. Making sure your infield screens are in safe working condition is something you can do even when the weather doesn’t cooperate, as is often the case in early spring, so that work that can be brought indoors. Repairs are made when reasonable to do so. 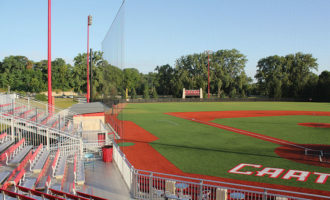 Your first priority is to ensure safety isn’t compromised for the coaches and players who will rely on these infield screens and nets for protection. Pitching screens, or “L-Screens”, tend to get the worst abuse and usually require the most work. 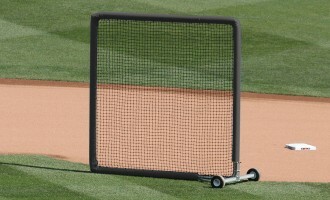 Don’t forget about the big on-field portable backstop. 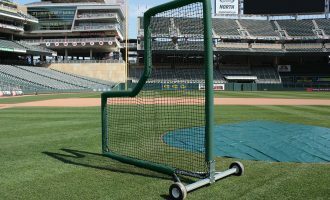 If it is collapsible, open it up and inspect all locations where the net and the backstop pad are anchored to the frame, especially along the bottom of the backstop frame where it typically comes in contact with the ground. Abrasion can speed the wear causing the net and pad to become loose or unattached on the bottom of that frame. Remember the batting cage nets! Don’t forget to check the health of the batting cage nets. For indoor batting cages, check to make sure all connections are tight and that the net is not sagging. 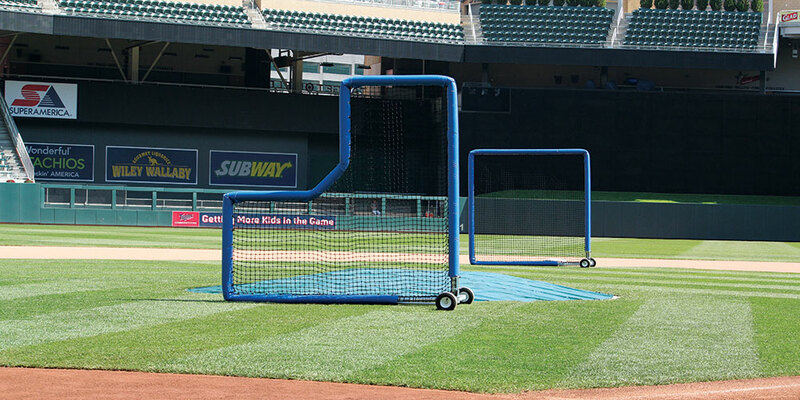 If these are for outdoor batting cages, stretch the net out somewhere to check for holes in them. Mice and rabbits love to chew through the string near the base of the nets for nesting materials during the off season. 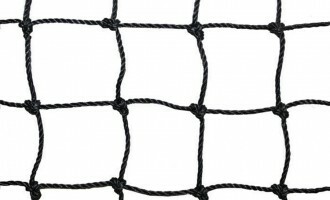 They can be easily repaired on the ground BEFORE you hoist these nets back up into position. Do a full inspection of all hardware and cable on outdoor batting tunnel net systems as rust and oxidation can work to seize things up if stainless steel or galvanized hardware was not used. At least once a year — and definitely after every storm — you should make sure your barrier netting and backstop netting is still protecting your fans. 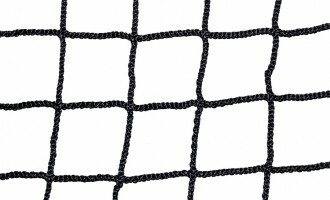 We have a great netting systems guide that can help you in your net backstop selection. If you’re still not sure what you need to withstand the weather in your area, get in touch with our Project Services Team at 800-747-5985, or click here to send us a message. Remember, nets that can’t be repaired need to be replaced. Don’t wait to order your nets and screen replacements. You don’t want to be putting your players and coaches at risk. It’s best to start your net assessment and reordering process as early as possible. If your budget allows, slowly build a backup supply of nets for each of your screens. This is the best way to prepare for unexpected damage and make sure you always have a safe environment. The safe, long-lasting backstop system.